Micro Blowers On Pelonis Technologies, Inc.
Across all industries, technologies and products are shrinking in size, becoming more compact and portable to meet consumers’ shifting needs. This is true for virtually every sector, from personal computing, medical devices, and alternative energy to air-quality monitoring, lighting, and security cameras. In personal-computer applications, in particular, this rise in smaller, slimmer products has created a need for smaller, slimmer cooling products; tablet computers need to be cooled just as first-generation desktop computers did. Fans and blowers are being miniaturized to meet his demand, but, recently, products have been shrinking faster than blowers can be miniaturized. Utilizing emerging Axial Air-Gap technology, however, Pelonis Technologies, Inc. (PTI) has developed a line of our smallest micro blowers yet. 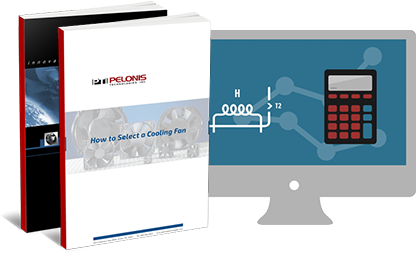 Traditionally, fans and micro fans have operated using a silicon steel motor, generating a radial air gap that hampers miniaturization efforts. By eliminating clunky silicon steel motors, however, a centrifugally oriented micro blower generates an axial air gap instead; these changes allow for a much higher degree of miniaturization. Among other benefits over micro fans, PTI micro blowers feature a lower profile, are 20-40% more energy efficient, experience no current loss, require a lower startup voltage, and experience no power loss at higher operating temperatures.